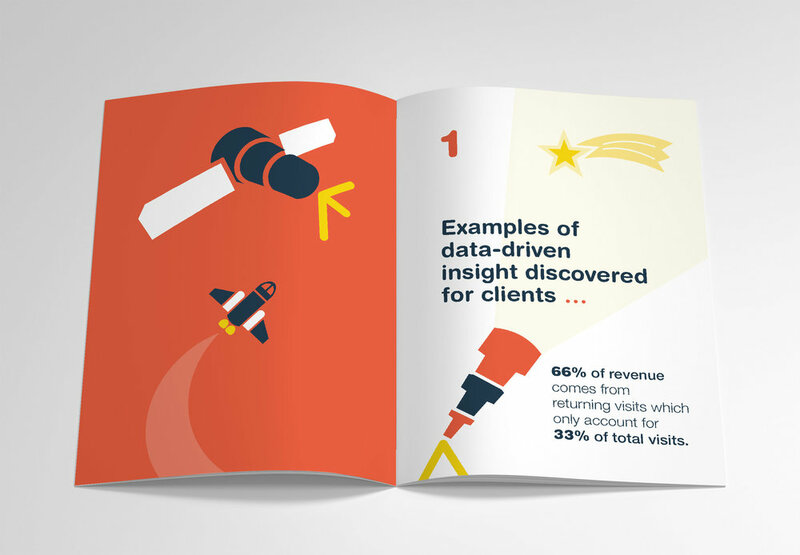 The little book of analytics was commissioned by Databuilt as a sales tool targeted at potential clients as well as agencies who might consider using Databuilt’s services to sell on to their clients. 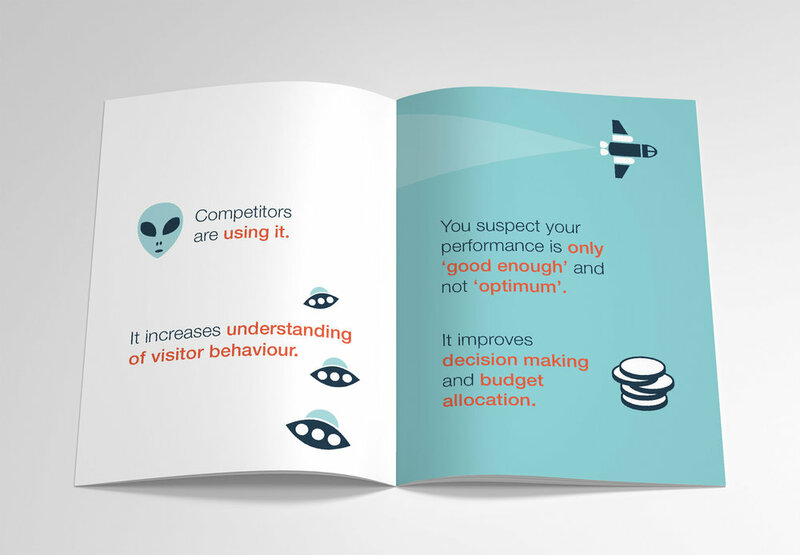 With these two target audiences in mind, two versions of the booklet were designed with slightly different content, to ensure that messaging was spot-on with each audience. With copy written by Databuilt themselves, the look and style of the booklet was developed based on the space theme which Databuilt currently only made use of with the little space rocket in their logo. Extra illustrations were created and an extended colour palette rolled out, using bright colours to contrast with the ‘deep space’ blue. 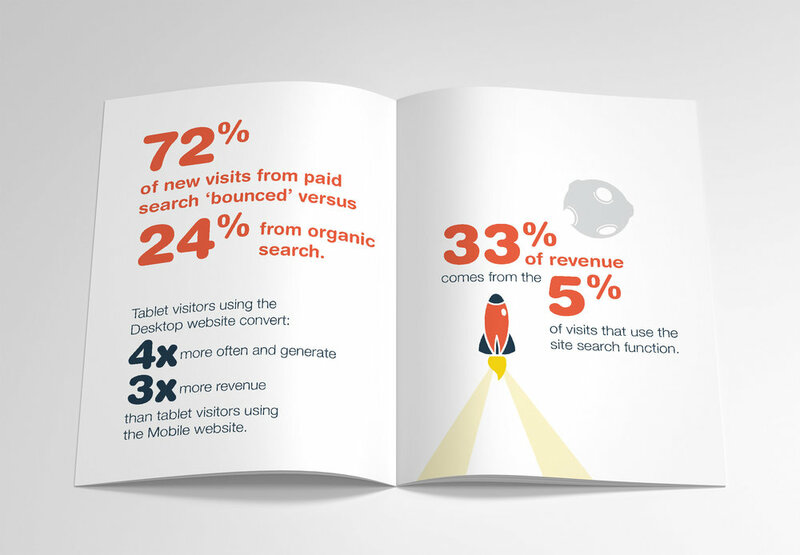 The booklet was designed to be A6 in size and printed digitally on uncoated stock. A great calling card for Databuilt to send to prospective clients and also hand out at networking events..